W & S Asphalt Paving, Inc. Licensed, Insured, And Experienced For Over 35 Years! Call Now Quality Paving Services! Best In Our Vertical. Call Us Today! 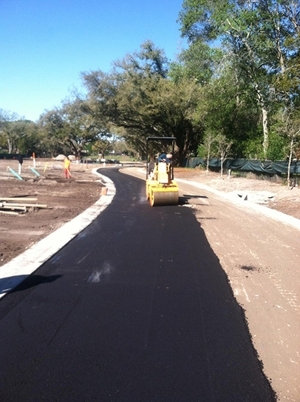 W & S Asphalt Paving Inc is one of the most experienced paving contractors in Florida. We have been serving Seffner and the rest of Central Florida for over 38 years and offer an impressive variety of paving services designed to help your home or business look its very best. As our hundreds of satisfied clients already know, there is no job too big or too small for us. W & S Asphalt Paving Inc has built its reputation on providing top-tier work for every client regardless of the size or price of the project. Whether you need your driveway patched or want to pave an entire parking lot, W & S Asphalt Paving Inc is here to help make the project an affordable success. We are fully licensed, bonded, and insured for your protection and peace of mind. Our paving services are guaranteed and we are happy to provide both references and photos of past work for your review. Let's get started on your paving project! Call us today at (813) 438-6886! Copyright © 2018 wandsasphalt.net All rights reserved.